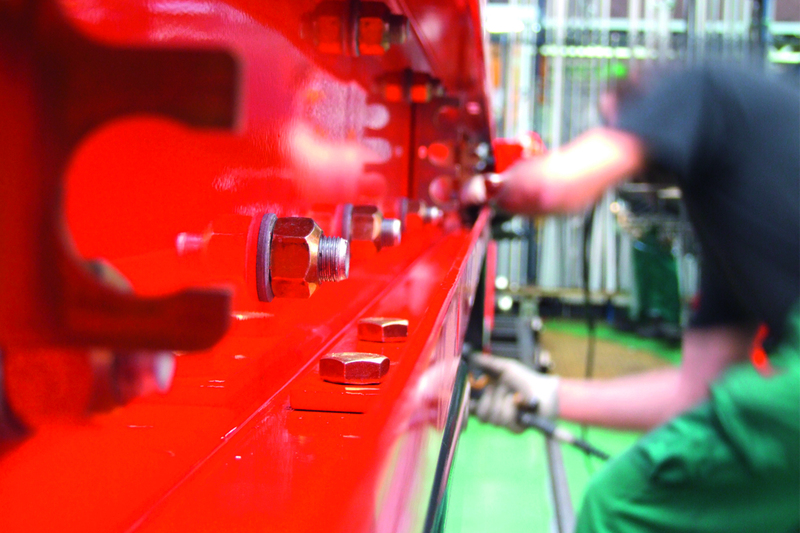 Our customers expect our machines to operate faultlessly and be completely reliable. To achieve this, we apply the highest quality standards applicable to the manufacture of agricultural machines – our own. 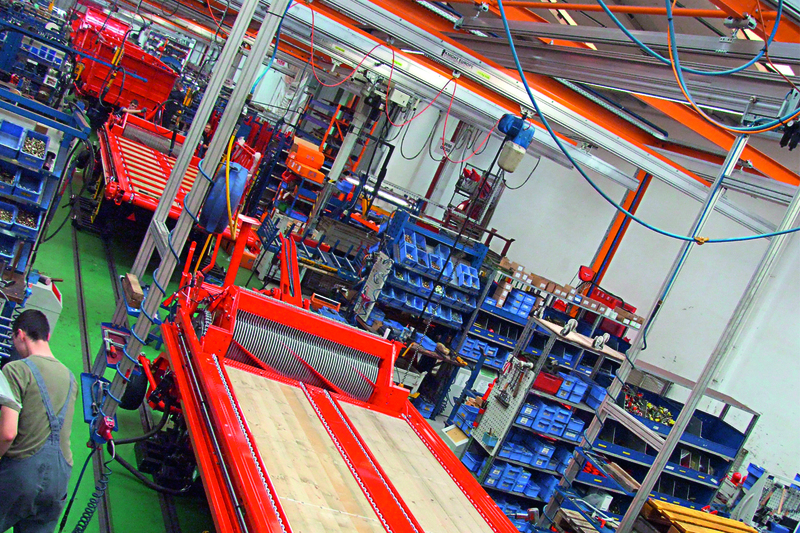 The whole production process is monitored by our internal quality management team. It is easy to see why we offer such high quality. 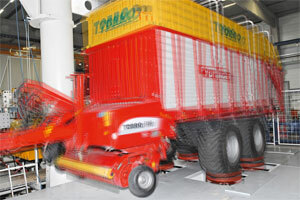 After all, we have the most advanced production line for silage trailers in the world, a unique parts painting system ensuring the highest quality of finish, the latest in laser cutting machines for high precision in sheet metal work where finished products are sent straight to warehouse and a new hardening facility for wearing parts. We know what we will be measured on. In order to further develop its product ranges, Pöttinger is constantly investing money in Research & Development and expanding its own test centre at the Technology and Innovation Centre (TIZ), the cornerstone of its quality assurance system. Here, we test the serviceability of our machines in realistic operational conditions so we can offer our customers the best possible products. The test centre is among the most modern examples of its kind worldwide in agricultural technology and has an excellent reputation. Many other international manufacturers also send us their products to put them through their paces. 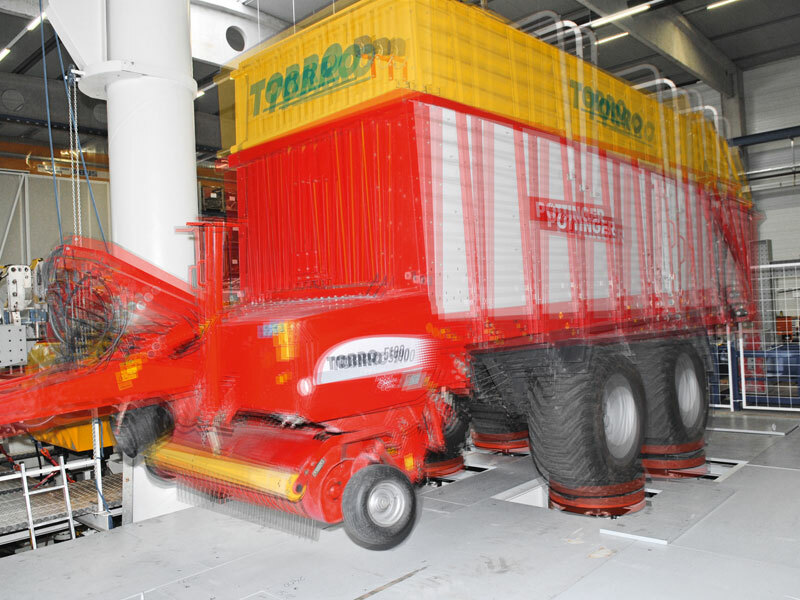 The test centre uses test facilities similar to those used in motor sport, although Pöttinger focuses more on operational stability than driving dynamics. The centre includes test facilities such as the 4 poster which simulates road haulage, a multi axial test bench with a load capacity of 4,500kg, an environmental chamber and a test rig for gears and electrical components. 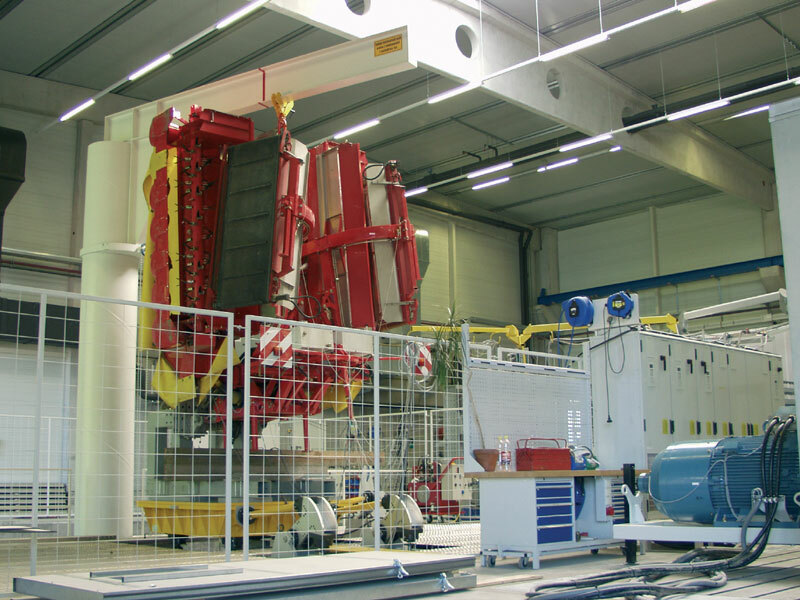 The 4 poster enables the entire life cycle of each Pöttinger machine to be simulated in fast motion. This allows a timing saving of 75% compared with field testing. The showpiece of the new testing centre is the multi-axis shaker table (MAST). This apparatus can simulate acceleration forces equivalent to a rocket taking off and vibrations similar to an earthquake. Loads of up to 4.5 tonnes can be tested on this test stand, unique in agricultural engineering. 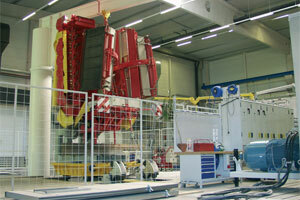 The 4-poster test bed is used to simulate the entire service life of each PÖTTINGER machine in quick motion. That translates into a time saving of up to 75% compared to a field test. 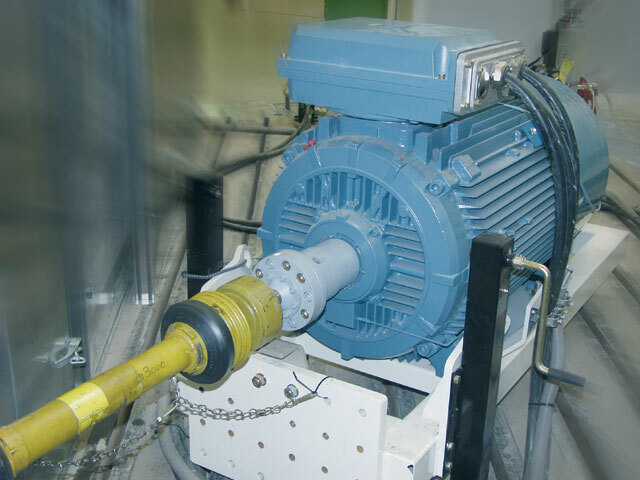 The performance of transmission components is tested in driveline tests. 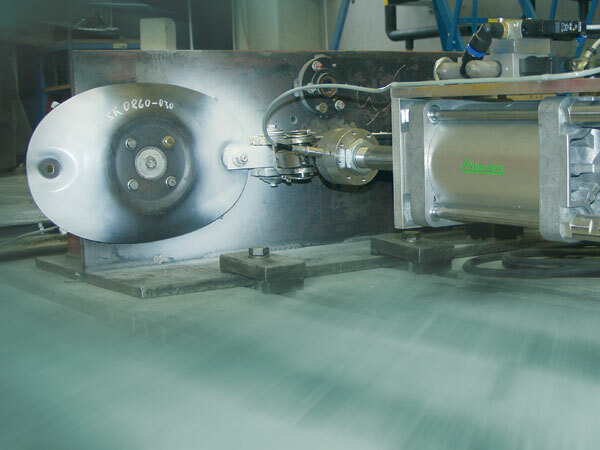 Operating stresses can be simulated on the driveline with outputs of up to 250 kW / 340 hp and a torque of up to 5000 Nm generated independently of rpm. 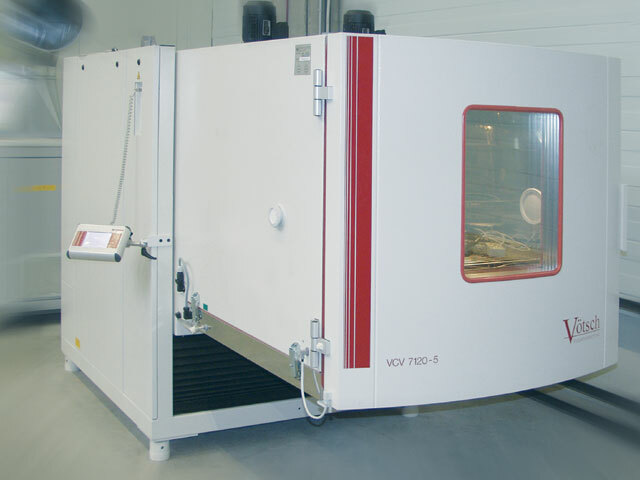 A climate chamber makes electronics hot and cold: electronic components can be subjected to temperatures of –70°C to +180 °C. The component testing station consists of precision dynamic pneumatic and hydraulic cylinders. Tools, frameworks and chassis can be endurance-tested here. 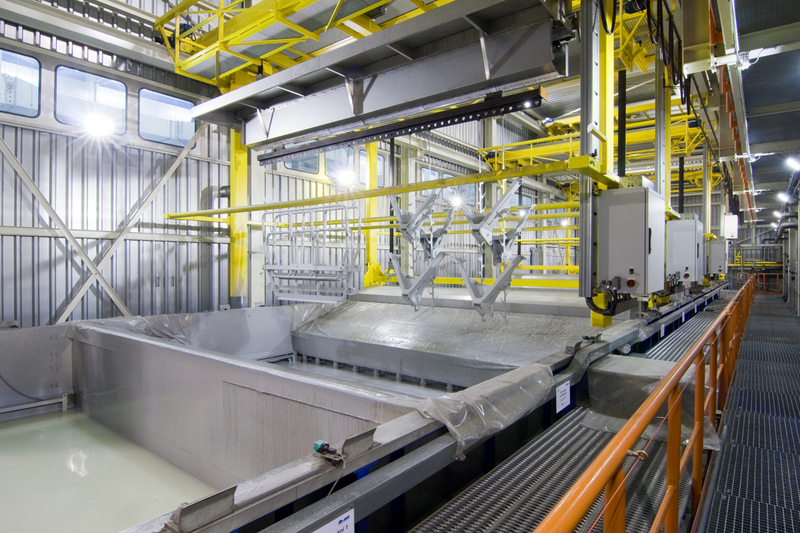 PÖTTINGER coating line technology incorporates cataphoretic dip priming and powder coating. Both these processes involve environmentally-friendly painting methods. 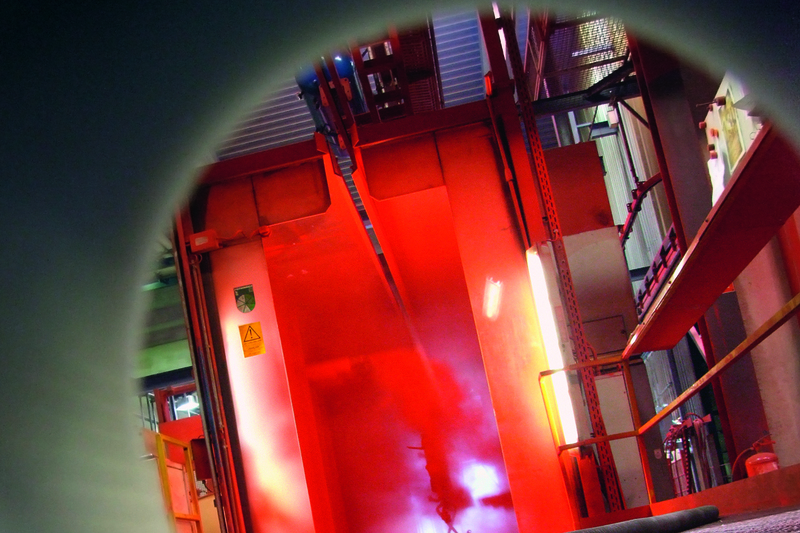 No solvent is used in the mixing and application of the coatings. Powder-coated paintwork has proven to be flexible and durable in the field. Neither sudden impact nor distortion will cause cracks to form once the machinery is in operation.